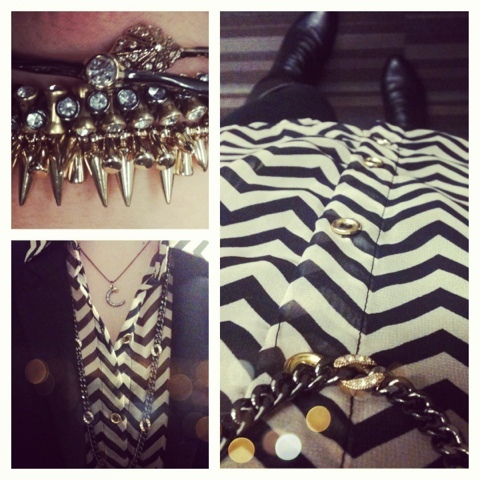 Today's outfit is an ode to my love for chevron prints and Stella & Dot jewels. Not much else to say, other than I LOVE both these things very much. I love chevron...and Stella & Dot :) So cute! Love the chevron print and love even more that it's light and flowy. Love the chevron print blouse! Marshalls here I come:)!